Hole-in-one...you're a winner! Game includes chipping mat, golf putter & ball. 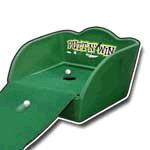 * Please call us for any questions on our putt n win tabletop game rentals in Pipersville PA, Hatfield PA, and Bucks & Montgomery Counties in Pennsylvania.